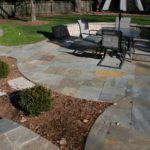 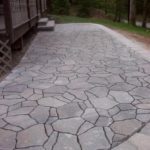 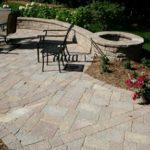 When looking at the patio you wish to install, the style may be determined by your design or the terrain of your backyard. 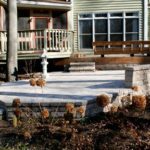 If we are replacing an existing deck, a raised patio is often times the solution, where a wall is built up and the patio installed in an elevated position. 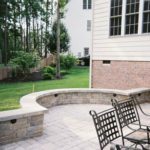 If you have an area that is not level and has some gradual slopes, a patio with retaining walls that double as seating walls can make the most out of your backyard. 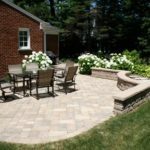 A multi-level patio is another solution to an area with uneven terrain. 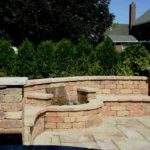 This is a great option for creating different areas in your outdoor space. 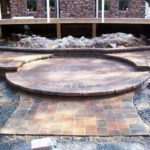 Patios can be constructed with straight runs and angled curves or rounded edges and curves. 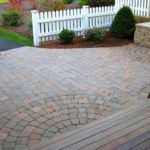 It all depends on the vision of our customers. 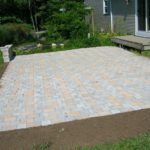 What material options do I have for my custom patio? 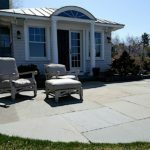 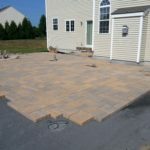 Will you design my custom patio as well as install it? 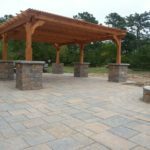 Yes, we will design your outdoor living space as well as install it. 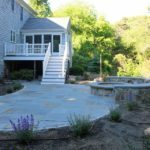 Whether we create the design or you hire a landscape architect, working with you from the beginning stages of your project enables us to save you time and money. 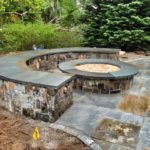 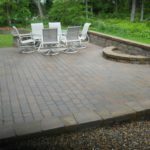 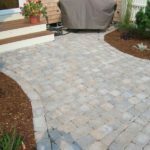 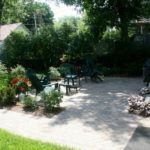 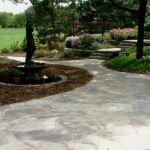 Contact Sheridan Landscaping for a free estimate on our patio designs and installation at (774) 413-5012 or fill our contact form to get immediate assistance.